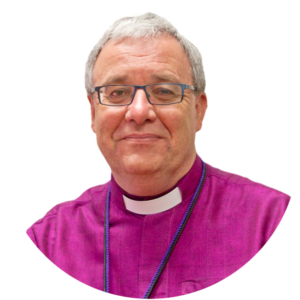 Bishop Paul Barker has been an Assistant Bishop in the Anglican Diocese of Melbourne since November 2016. Formerly he lived for seven years in Malaysia and was a lecturer in Old Testament and Preaching in various Bible colleges in Malaysia, Thailand, Myanmar, Pakistan and India. In addition he was Regional Coordinator for Asia for Langham Preaching and Langham Scholars. His PhD was in Deuteronomy and he has written a number of books on Deuteronomy, Amos, Psalms and Kings. In earlier years, Paul was Senior Minister of Holy Trinity Doncaster in Melbourne and helped start two Chinese congregations there. Paul has led numerous Christian tour groups to the Holy Land, Jordan, Egypt, Greece, Turkey and Italy. Welcome to Germany. On arrival at Berlin airport you are met by your Tour Director and transferred to your hotel. This afternoon we embark on a sightseeing tour with a local guide. Get to know the many different faces of Berlin. Pass the places of historical Berlin, including the Brandenburg Gate, the Reichstag, the boulevard Unter den Linden as well as the famous Gendarmenmarkt, the Berlin Cathedral, the unique Museum Island with five important museum-buildings, the Embassy quarter around Pariser Platz, Tiergarten, Checkpoint Charlie (the former border crossing between East and West Berlin), Potsdamer Platz, the boulevard Kurfürstendamm with the Memorial Church and much more. (The tour does not include inside visits) Tonight we enjoy a Welcome Dinner together at a local restaurant. Today after breakfast we visit the Pergamon Museum. This famous museum contains many archaeological finds from Biblical times including the Pergamon Altar and the Market Gate of Miletus (Revelation 2:12-17, Acts 20:17-38). The remainder of the day is free for you to explore Berlin, this once divided city. Drive to Wittenberg this morning. Check in at hotel before enjoying a guided city tour of Wittenberg. Experience the historic city centre of Wittenberg with the Schlosskirche (Castle Church) and its famous door where Martin Luther nailed his 95 theses in protest to the sale of indulgences. Stroll around the streets where Luther and his colleagues walked many years ago. Included is a visit to the Luther House, the Melanchthon House and the City Church St. Marien. The remainder of the day is at leisure. Tonight, we have dinner at a local restaurant in Wittenberg. Today we check out of our hotel and travel to Torgau. Upon arrival we enjoy a guided tour – “Martin Luther, Katharina von Bora and the Reformation in Torgau”. More than forty stays of the reformer Martin Luther in Torgau are documented. The foundation of the Augsburg Confession was developed here. We then continue to Eisleben and on arrival embark on a guided walking tour. Martin Luther is the most famous citizen of Eisleben (also called Lutherstadt Eisleben), a town founded more than a thousand years ago. He was born here on November 10, 1483 and died here on February 18, 1546. 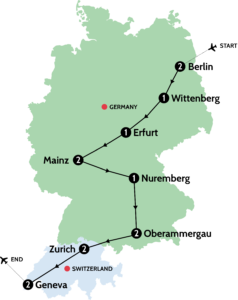 During the tour you will visit Luther’s birthplace and last residence, the Luther monument, the Church of St. Peter and Paul where Luther was baptised, as well as the Church of St. Andrew where Luther gave his last sermons. Also included will be St. Anne’s Church – one of the most beautiful Renaissance churches in Germany. Continue to Erfurt for overnight and dinner at our hotel. This morning we enjoy a walking tour of Erfurt with a local guide. This tour will introduce you to the city of flowers and horticulture, the city where Martin Luther lived and studied, and the location of a number of historical Jewish sites. Erfurt was Martin Luther’s spiritual home. A student at Erfurt’s famous university between 1501 and 1505, Luther first studied the “seven liberal arts”, then theology and, at his father’s wish, jurisprudence. But a dramatic personal incident brought about a radical change in Luther’s life: terrified by a dreadful storm close to the city, during which he was struck by lightning, he took monastic vows and entered the Augustinian Monastery on 17 July 1505. In April 1507, Martin Luther was ordained as priest in Erfurt Cathedral. On your route through the town you will see interesting places connected with Luther, such as the Luther monument, St. Michael’s Church and the student hostel which also date from this era. At the end of this tour there is an opportunity to visit the Augustinian Monastery. After the tour we will transfer to Wartburg Castle for a one-hour visit. This UNESCO World Cultural Heritage Site stands top a 200-meter high rock above the town of Eisenach. The Wartburg’s most famous resident was Martin Luther, who lived here in protective custody in 1521-1522 after refusing to retract his writings. It was here that he translated the New Testament from Greek into German. Continue to Mainz. Begin the day with a relaxing river cruise past steep-sided vineyards, half-timbered taverns, the hilltop castles and the notorious Lorelei Rock. Alight at Rudesheim, where we then enjoy the awe-inspiring panoramic views over Rüdesheim’s old town, the vineyards and the shimmering waters of the Rhine from the mighty Niederwald Monument. In the afternoon we transfer to Worms. Martin Luther spent just ten days in Worms, but these ten days fundamentally changed the world. In 1521 he was summoned to the Imperial Diet where he was supposed to disassociate himself from what he had written. Luther asked for time to consider, and then decided not to compromise. He said that if he could not be confuted by the Holy Scriptures, which were his only point of reference, then he did not want to and could not recant “because to go against one’s conscience is neither right nor safe”. We take a guided tour following the footsteps of Luther during his stay (entrance fees not included). Later return to Mainz. We will start the day with a tour in Mainz, where we will take you to the Gutenberg Museum, home to the most famous Bible in the world. On a guided tour of the city, you’ll see sites associated with Johannes Gutenberg – the place where he was born, the church where he was baptised, the house where he lived in his later year and his final resting place – as well as former printing houses and various monuments. We then travel to the concentration camp Flossenbürg when the famous German theologian and pastor Dietrich Bonhoeffer was imprisoned and martyred. Bonhoeffer’s book The Cost of Discipleship is his most famous work, and in many ways foreshadowed the cost he ultimately paid as a result of his opposition to the Nazi regime. Continue to Nuremberg. This morning is set aside for free time to explore the old town of Nuremberg. We then depart for Oberammergau with a stop en route at the picturesque town of Rothenburg. This morning is free to explore the village of Oberammergau before attending the Passion Play commencing at 2.30pm. The Play ends around 10.30pm with a 3-hour dinner break. Today we drive from Oberammergau to Konstanz with a stop at Neuschwanstein Castle. On arrival in Konstanz we see the Imperia, the city’s most famous statue representing the Council of Constance which ended the Papal Schism of the 15th Century. We then visit the Jan Hus Museum, which has been for more than 200 years a place of reverence to the great Church reformer. Hus was a follower of John Wycliffe and a predecessor of Martin Luther. Continue on to Zurich for our 2-night stay. This morning we will enjoy a guided city tour of Zurich ending at the Landesmuseum with some free time to explore. It was in Zurich where the Reformed branch of the Reformation got its start under the leadership of Ulrich Zwingli beginning in 1520. We will tour the Grossmünster, the Helferei (where Zwingli lived) and see the Zwingli Statue. We then travel to Einsiedeln Monastery for evening prayer at 5:30 pm. Return to the hotel for dinner. We depart to the village Bäretswil and walk to an Anabaptist cave. The Anabaptists pressed the Reformers for a separation of church and state, adult baptism, and freedom from taxation and military conscription. When this was refused them, they moved into the countryside where they worshipped in secret in caves. Afterwards we will drive from Geneva to Gruyere with picture postcard scenery along the way. Arrive in Geneva for our 2 night stay. This morning we will do a tour of Geneva’s famous attractions. Geneva was the city where the famous reformer John Calvin was based. The tour includes seeing the Reformation Monument, St Peter’s Church, Calvin’s home and grave. The afternoon is free for further exploring or last-minute shopping. Tonight, we will have our Farewell Dinner at our hotel. Our tour ends after breakfast with a transfer to Geneva airport. Accommodation based on twin share for 13 nights. Hotels mentioned are to be used as a guide only & are subject to availability and change. Any alternate hotel will be in the same category as similar as possible. Travel Director: services of a professional English speaking travel director throughout. Local expert guides where required. It is mandatory to have travel insurance and it is strongly recommended to take out a policy at the time of paying your deposit. For Oberammergau you can only purchase comprehensive travel insurance 2 years in advance (cover from August 2018) if you are under the age of 70 years. Alternatively, you can purchase deposit protection insurance to cover the first 3 instalments (up to $3500) then purchase a comprehensive policy prior to the balance due in 2020. Please contact us at sales@myselah.com.au for a quote. There are no visas required for this tour for Australian passport holders. Prices are based on a twin shared room containing two single beds. A request to share is accepted at the time of booking. Clients electing to twin share with an unknown partner of the same gender do so in the full knowledge that Selah cannot guarantee the compatibility or medical fitness of your roommate. A single supplement surcharge will apply at the time of booking. This surcharge will be refunded if Selah is able to provide a suitable partner. Travelling to ancient places means that many surfaces are cobblestoned and uneven. When on tour there is a reasonable amount of walking every day (6-8kms). Days can be long with early starts. You need to be of sound physical health and fitness to maximise your experience on the tour. If you have any concerns about your health and fitness, please speak to us. out www.traveldoctor.com.au about relevant vaccinations and travel health. 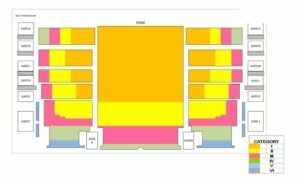 Seating for the performance will be in Category 2 (yellow in seat map). The performance commences at 2.30pm. Part I concludes at 5.00pm. A 3 course set menu dinner will be provided at a nearby restaurant. Part II commences at 8pm and concludes at 10.30pm. The theatre holds 4,500 people per performance. The performance is in German. You will be given a a textbook to follow in English. All payments are non-refundable. See our travel insurance section for cover. An invoice will be forwarded to you prior to these dates. 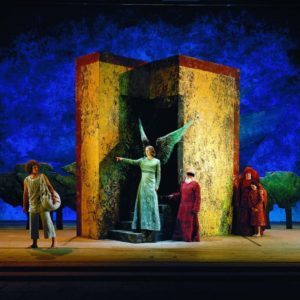 Check our other Oberammergau tours we have put together for this once-a-decade experience. 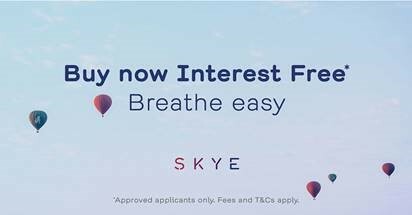 We now offer our clients access to a 12 months interest-free payment plan.